If you haven't heard of Cherub yet, then consider this your introduction. Since last August and the release of their track "Doses And Mimosas", it's been a hallmark period for the Nashville-based (yes, you heard correctly) indie dance duo, proof that music knows no boundaries. 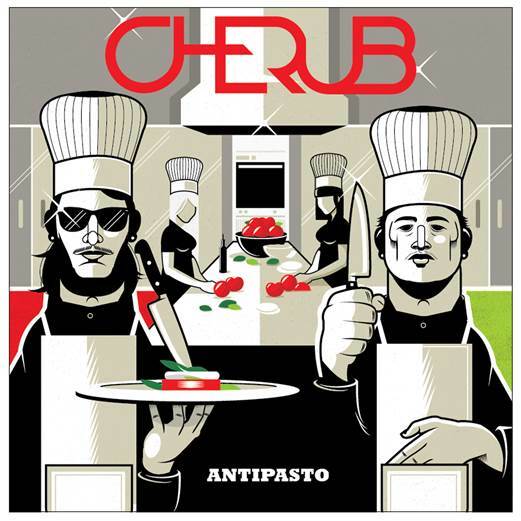 Most recently they caught the blogosphere's attention once again with their Antipasto EP, a 4-track reminder of Cherub's talent that includes the original and The Knocks' remix of "Doses", "Lifesaver", and the track you are about to hear, "Tonight". Groovy and slow-paced at first, the revitalized indie ode recalls the smooth R&B vocals of decades past, with an updated dance baseline and electro flares. Though some may say the tongue-in-cheek lyrics tip the track to cheesy, it's the carefree attitude that makes the song so enjoyable. I mean, what 20-something doesn't haphazardly quote Nitezche and debate U.S. commercialism? But get a few drinks in them, and "Tonight" easily could serve as a direct inner monologue. Antipasto drops today on Colombia Records and should be enjoyed with a side of carpe diem and zero fucks given.